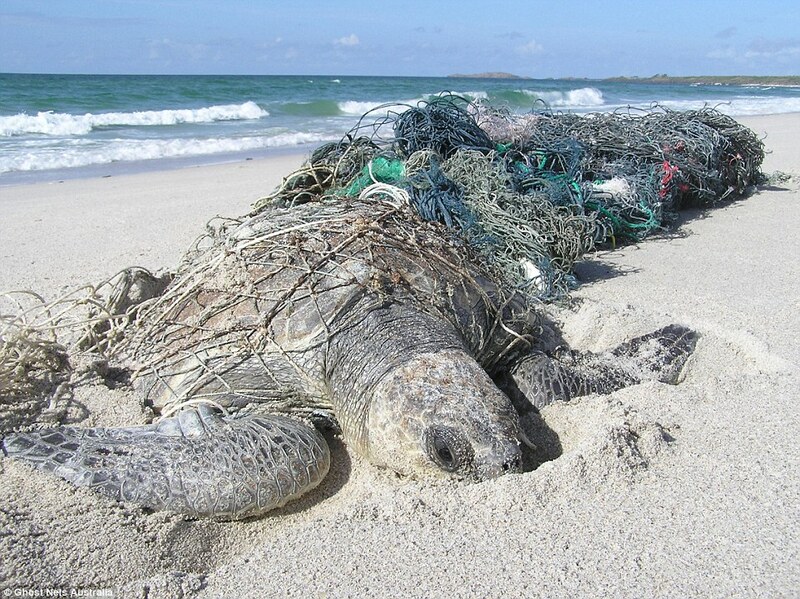 Ghost nets kill huge numbers of marine animals in the Gulf of Carpentaria and Torres Strait (via). 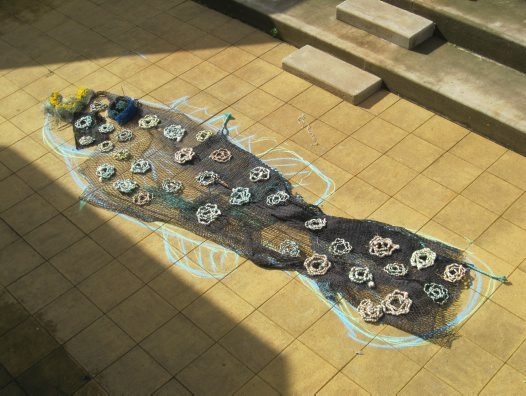 On the remote Darnley Island (Erub) fisher folks have found a good use for the deadly material that shows up on their shores everyday —beautiful art inspired by local folklore. 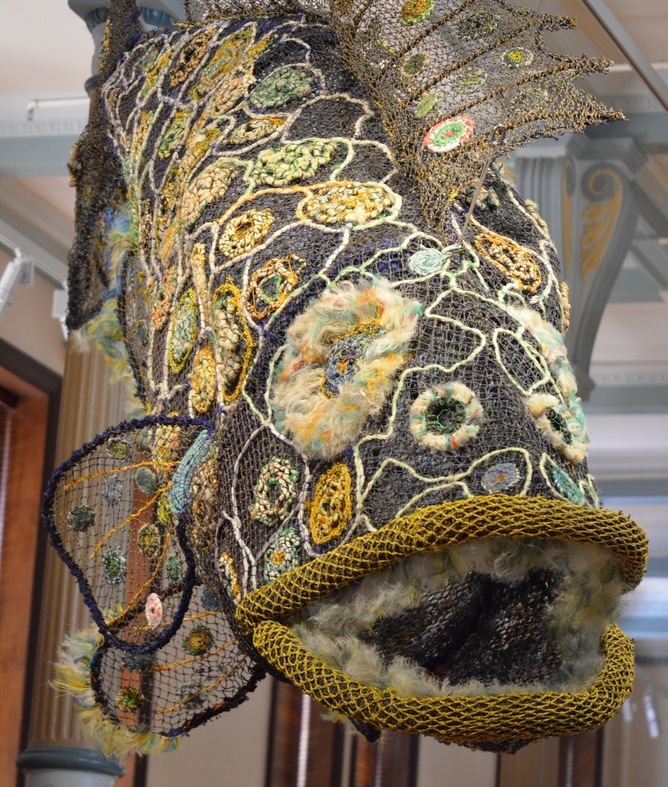 Provides employment to locals and sends out a powerful message to the world as these pieces are now displayed in major museums. 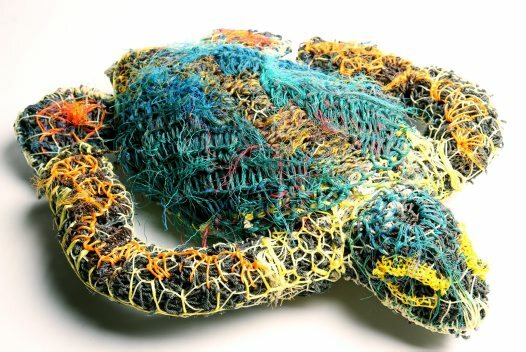 “Ghost net art has proven to be a great vehicle for alerting the general public to the damage that ghost nets inflict on the marine environment. 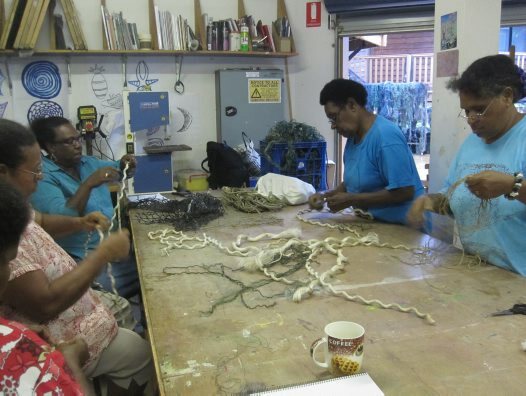 Even before GhostNets Australia started working with indigenous rangers to clear Australia’s northern coastline of ghost nets, people were using them for diverse purposes. 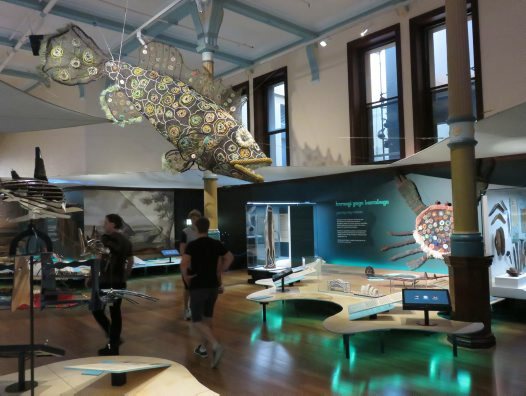 In various northern Australian indigenous communities you might see ghost nets being used as screens on verandahs, adorned with shells and glass or plastic floats, or as fencing for chook pens. 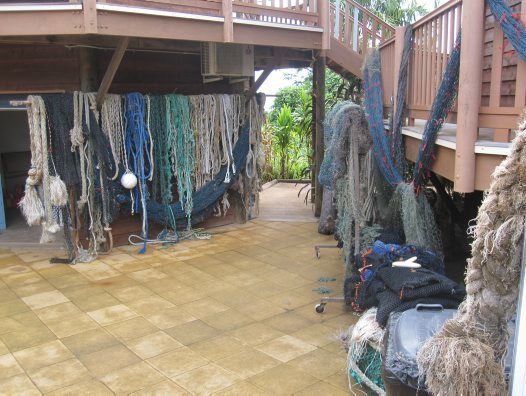 Fishing and yam bags were made from pieces of net found washed up on beaches. 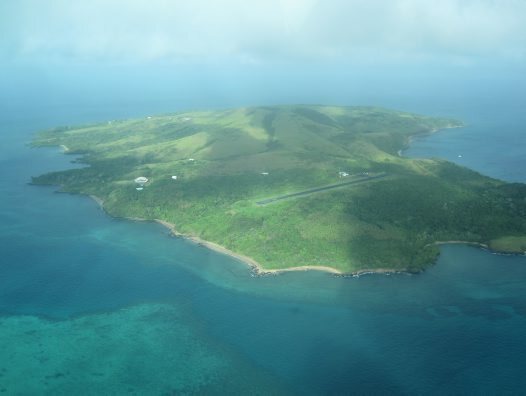 Darnley Island (Erub) from the air. 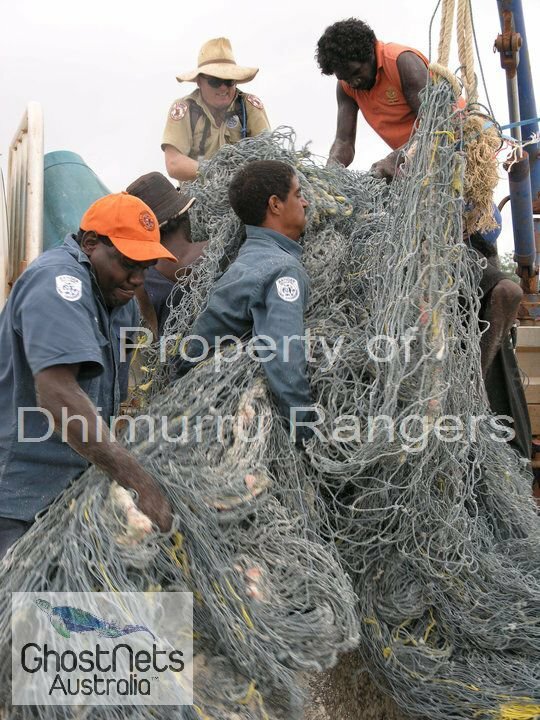 This single ghost net collection by Dhimuru rangers was a 6-man job! 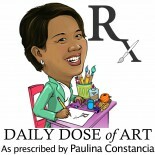 This entry was posted on March 13, 2015 by Paulina Constancia in Collaborate, Communicate, Create, Teach and tagged Arts & Crafts, Creative Collaborations, environmental crusades, inspiring communities, nature-inspired design, sculpture, world cultures.